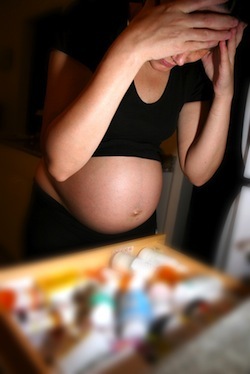 Depression is a condition that affects women of child-bearing age and may continue throughout pregnancy. Antidepressants have been pinpointed as a possible cause for concern regarding possible negative impacts on offspring. Researchers from various institutions, medical centers and Aarhus in Denmark recently studied the impact of antidepressants on offspring in hopes of revealing a definitive outcome. A total of 225 children were included in the active group of the study – 127 taking antidepressants and 98 diagnosed with depression but taking no antidepressant medications. Another 723 children were included for the control portion of the study. Researchers used the Strengths and Difficulties Questionnaire (SDQ) to evaluate behavioral problems in children born to women with depression. Conclusion: No connection was found between taking antidepressants during pregnancy and behavioral problems in offspring. However, a connection was found between untreated depression and behavioral problems. After taking into consideration post-pregnancy psychiatric health, the connection weakened. Source: Pedersen LH, Henriksen TB, Bech BH, Licht RW, Kjaer D, Olsen J. Prenatal antidepressant exposure and behavioral problems in early childhood - a cohort study. Acta Psychiatr Scand. 2013 Feb;127(2):126-35. doi: 10.1111/acps.12032. Epub 2012 Nov 5.